for production processes at our customers. Nippon Helium Inc. started business in July 1969 as a helium import, refilling and sales company. 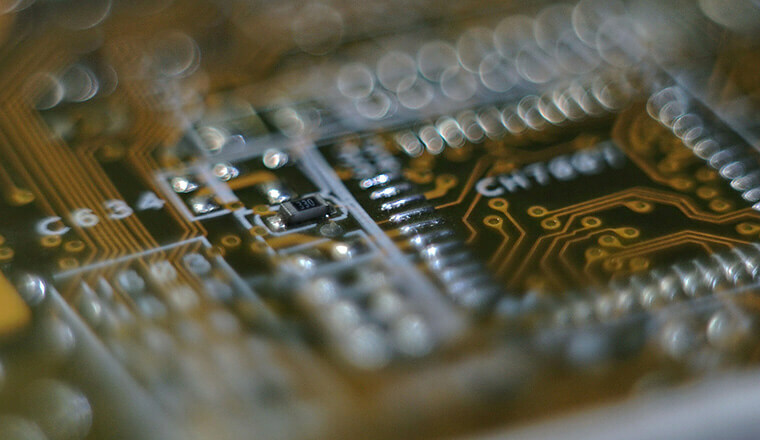 Helium, which is indispensable to optical fiber, semiconductor and liquid crystal panel production and in MRI for medical use, is present in extremely low levels in air. This "scarce natural resource" is mainly produced from a limited number of natural gas fields around the world, starting with those in the United States. 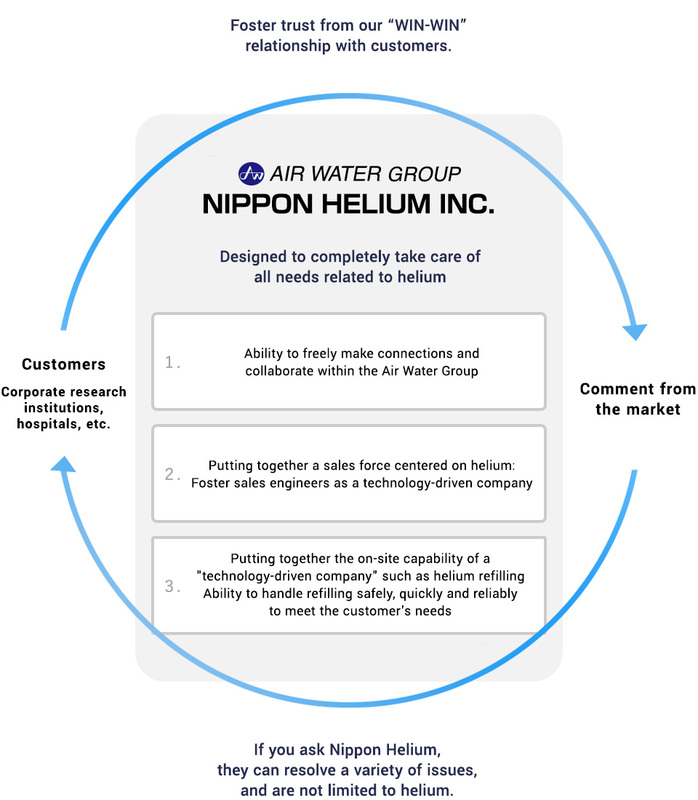 Nippon Helium is a pioneer in the business field of helium in Japan. We were the first in Japan to successfully transport liquefied helium in special insulated containers over long ocean distances. In addition to helium, we are also involved rare gases such as xenon, neon and krypton and stable isotopes, such as deuterium, which are indispensable for laser oscillation, electric bulbs and various analytical measurements. Nippon Helium procures these precious gases, which play an essential role in industrial activities, from sources across the globe, produces some of them domestically, and provides stable delivery to our customers under an optimal supply method. Further, as a member of the Air Water Group, which has developed a diverse range of businesses beginning with industrial gas, and including chemicals, medical care, energy, agriculture and food, we provide total support of gas and gas-related equipment necessary for our customer's production processes. 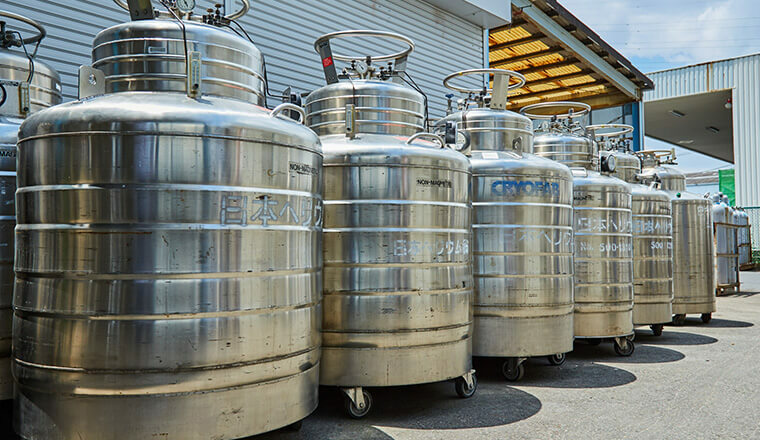 Helium is liquefied at overseas production sites and transported in cryogenic tank containers by sea to our six supply bases across Japan. There it is refilled into dewars, trailers, cyliniders so it is suitable for a variety of applications, and delivered to our customers. Introduction to Japan Helium’s mixed gas. The uses, specifications, designs and characteristics of mixed gas for laser oscillators. Helium and the other rare gases are precious gases present in only minute quantities in air. Demand is increasing in fields related to lamps (light sources for projectors and such), medical anesthesia and space. Introduction to the uses and characteristics of rare gases (Japanese version only). The standards and handling specifications. Stable isotopes, which do not decay at the nuclear level and exist at relatively constant levels, are gases indispensable to semi-conductors, optical fibers, next-generation oxide films and medical equipment, etc. They are not radioactive so they are safe. Introduction of stable isotope gases (Japanese version only). Types, purity, refill volumes, fields, and uses and purposes of gases. SDS, (PDF download) (See attached PDF file) We provide customers with information on yellow cards are carried. making it possible to take measures in the case of emergencies. Air and water—we are stewards of these great gifts of nature, and must consider ways of manufacturing products that are best for nature while also best for industry and life. We will allow air and water to return to nature after being used by human beings—to regain their pure, original state. We deeply believe that this is our responsibility to the future. We seek to be a company grounded in the providence of nature and the cycle of life. We aim to recycle the earth’s precious resources. １．We continually strive to implement improvements aimed at improving quality in a safe and economical way in compliance with products that satisfy our customers, in order to ensure the continuing validity of QMS. ２．We strive to improve management and develop concrete measures in compliance with the law. ３．We promote understanding and awareness of our quality policy to all employees through education. ４．We promote resource conservation, energy conservation and reduction of waste in compliance with the Basic Environ mental Policy of Air Water Inc.
１．We work to conserve resources, conserve energy, recycle, and reduce waste products in all our business activities from research and development to production, sales, distribution and service. ２．We research and examine the impact on the environment from our business activities, establish technically and economically feasible goals for reducing environmental impact, and continuously work to achieve them. ３．We comply with environmental laws and regulations, establish voluntary standards as necessary, and work for environ mental conservation. 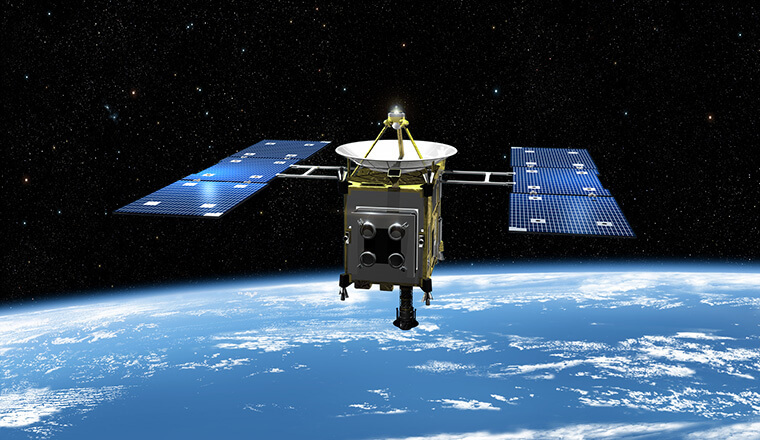 ４．We select resources (facilities, raw materials, subsidiary materials, components, etc.) required for business activities that satisfy technological and economic demands, but which also have a small environmental impact and little negative affect on local residents and employees. ５．Our research and development work gives consideration to the environment, safety and quality, and provides products, goods and technology development that contribute to the environment. ６．We promote acquisition of the ISO 14001 international standards for environmental management systems, and arrange structures for implementing our Environmental Basic Policy. ７．We use internal publicity and other activities to boost all employees’ understanding and awareness of the Air Water Group Environmental Basic Policy. We disclose this Environmental Basic Policy to the general public.